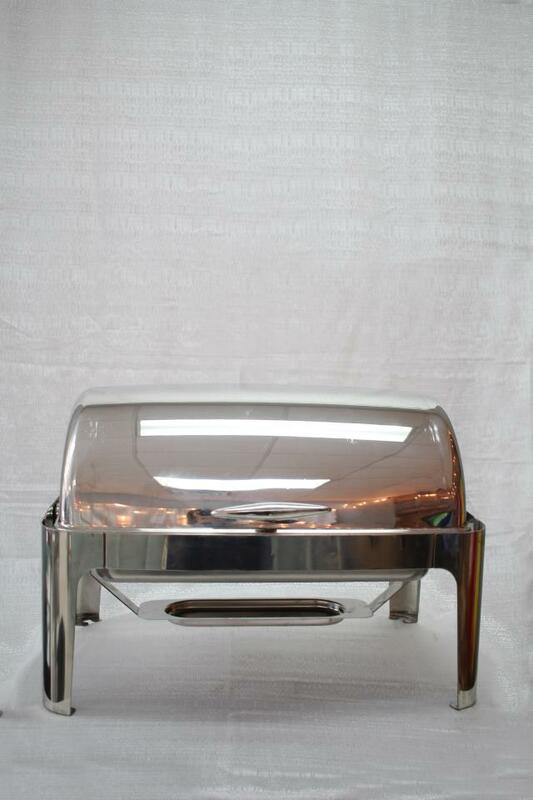 Full roll top chafer in high polish 18/10 stainless. Lid has two open positions; for either one-sided or two-sided service. Price includes, food pan (one full-size or two half-sized), sterno holders and sternos to last for 2 hours. * Please call us with any questions about our chafer s.s. 8 quart roll top serving Cary NC and Raleigh NC, Chapel Hill, Pittsboro, RTC & Raleigh-Durham in North Carolina.